Home remedies for cold and flu symptoms are many, but honey, lemon and ginger, seem to pop up with enough frequency to convince us once again that simple is best. No one makes a claim that this blend will actually cure what ails you, but it certainly will comfort, soothe and give your immune system a boost. The honey used is raw honey. Raw honey has a different look than pasteurized commercial honey. It has not been heated or filtered therefore it looks a bit cloudy and has flecks of the activities of the hive, such as honeycomb bits and pollen. Having a high anti-oxidant level and being the natural enzymes have not been destroyed by heat, raw honey is a much healthier product. Honey is antibacterial and a natural preservative, so this syrup will keep for months in the refrigerator. Soothing a sore, dry, or raspy throat has long been remedied with a spoonful of honey. Being honey actually absorbs moisture, called hygroscopic, it is helpful for cold symptoms as it can bring moisture to tissues in the throat. It's antibacterial action appeases sore throats as it helps to kill infection causing bacteria. Honey and lemons work well together since both contain not only antibacterial, but also antioxidant qualities. Rich in the antioxidant vitamin C, lemons are an important defense against the common cold as free radicals are destroyed within the body. Lemons made into a tea help to keep the body hydrated, balance pH by keeping the system alkaline, as well as to flush bacteria and unwanted toxins from the kidneys and urinary tract. 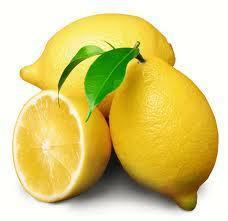 To avoid the risk of pesticide residues, only organic lemons are used in the preparation of the syrup. Last we have the healing powers of ginger root. 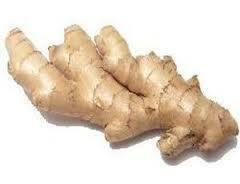 Ginger is a rhizome with its spiciest part being one of the oleoresin compounds, gingerol. These oils are credited with the soothing properties so well known with digestive upsets. Symptoms of a cold often make it difficult to eat, so ginger is often used to combat bellyaches and nausea. Ginger causes the body to warm, making it helpful in battling the chills from a fever. Adding ginger to a hot cup of tea allows the beneficial steam to help clear congestion and soothe the linings of a stuffy nose. The syrup is prepared by layering organic lemon slices, ginger root and the raw honey in a mason jar. Kept in the refrigerator, the lemons kind of dissolve into the honey to make a fragrant, sweet, marmalade like mixture. Eventually this concoction becomes pourable, upon which time the lemon pulp and ginger root are strained off and the resulting syrup is bottled. You can use this Lemon n' Ginger Honey Syrup in two ways. You can take it right off the spoon when needed for a scratchy or sore throat, a persistent cough, or just as a periodic immune booster. You can also enjoy it as a nice, soothing hot cup of tea. Just add a tablespoon to your mug and top it with hot or boiling water. Due to the risk of botulism with young babies, do not use this syrup with children under one year of age. For freshness and potency keep the syrup refrigerated. 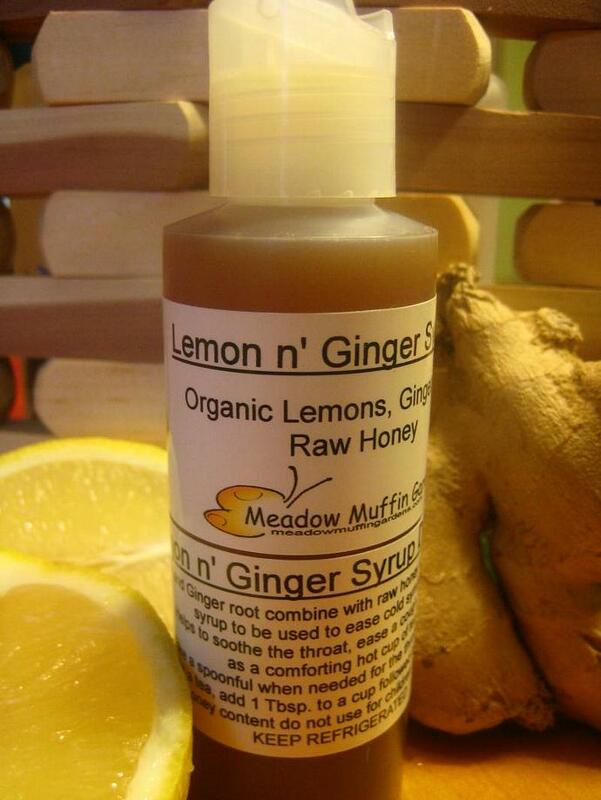 Lemon 'n Ginger Honey Syrup comes in a 4 oz. plastic bottle with a pop-up type cap. Shipping includes a reusable cold pack. 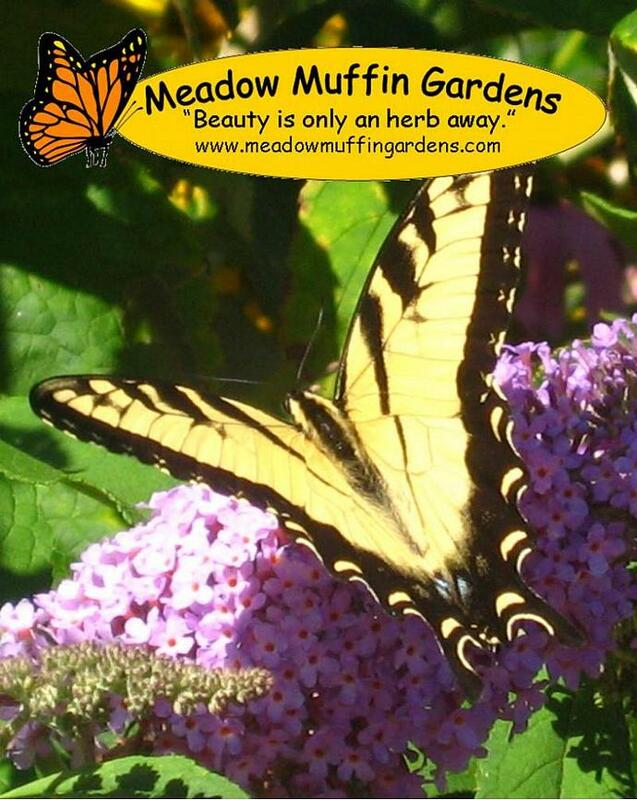 As with any herbal remedy this information or syrup formula has not been regulated by the FDA. Herbal lore has been trusted and handed down through the years but it is within your discretion how you use this information in treating a condition. Symptoms of both a cold and the flu can be similar. Both the common cold and the flu (influenza) are caused by viruses—but by different types of viruses. The rhinovirus is the most common cause of a cold, while the influenza virus causes the flu. A fever is common with the flu, but rare with a cold. You may have a headache, muscle pains, weakness and fatigue with a cold, but with the flu, these symptoms are very common and usually severe. Runny or stuffy nose, sneezing, and sore throat are common with a cold, but less common with the flu. Both the common cold and the flu can lead to complications. 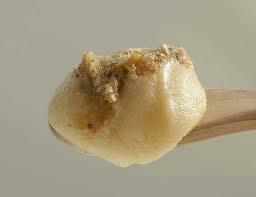 The common cold can cause sinus congestion and earaches. The flu can lead to more severe problems such as bronchitis and pneumonia. It is a good idea to seek medical attention if these symptoms seem to linger or become severe.